Do you want to bring your relationship to the next level? Is your partner having trouble committing or taking your relationship one step further? Or maybe you want to make your wedding the most magical! Marriage spells are simply very specific attraction spells and they work by drawing love to you. Marriage spells range from white magic spells to attract commitment and ultimately marriage, to dark magic spells that control the actions of another, forcing them into behaving the way that you want them to. If your partner needs that extra nudge, try out a marriage spell and you will be engaged in no time! Wiccan marriage spells use white magic to attract love and marriage into your life. What this means, is rather than attracting a specific person into your life, which is not allowed because white magic and the practice of Wicca cannot violate somebody’s free will, we would cast a spell to attract general love and commitment. If you are currently attached to someone, meaning you are in a relationship, it is very likely that the spell will bring your relationship to the next level. However, if your relationship is not meant to be, don’t be surprised if the relationship takes a turn for the worse. Just remember “out with the old, in with the new!” In other words, a new love is coming into your life very soon and the spell is simply making room for that to happen. We want our love relationships to be honest and long-lasting. This is one of the reasons that white magic refuses to coerce someone into loving someone else. This love would not be pure, the relationship would not be real, and ultimately the people in the relationship are unlikely to be happy. This is a Wiccan marriage spell that uses white magic to attract committed and real love into your life. The spell should be cast during the full moon. This way it will be most powerful. Try to find a place where you can actually see the moon. If it is very cloudy it might be best to wait one more day. As you know, the full moon is actually 3 days long. Collect all of your materials and supplies one full day before the ritual begin and place the ring in the bowl with the dried herbs. On the next evening under the full moon, begin this ritual. Remember to be patient. There are a lot of factors that need to be just right in order for you to meet your true love or soulmate. If a lot of changes begin to happen, whether they seem to be good or bad, do not worry! Sometimes the pieces on the chessboard need to be rearranged before true love and marriage can manifest. Obstacles need to be removed and doors need to be opened. This can take some time! There are lots of magical herbs and crystals that can encourage love and commitment! Check out all of these simple white magic spells that you can cast. Read more in Judica Illes’ book “Pure Magic.” FOr example, you can add an elderflower infusion to beer or wine. According to English folk tradition, if you drink this potion from a shared glass you will be married within a year. You can tap your love’s wedding ring finger three times with a sprig of rosemary like you are casting a magic spell with a wand. The proposal should follow quickly! Emeralds are considered one of the best engagement rings because they ensure love. So adorn yourself and your intended! And for garden witches, consider planting a Magnolia tree. They encourage fidelity and are traditionally planted to mark wedding anniversaries. Additionally, a Myrtle tree evokes the spirit of Aphrodite and attracts her blessing for lasting romance and tranquility. Pine trees symbolize commitment and fidelity and their presence will encourage long-lasting marriages. There are also marriage spells to heal a marriage and restore harmony to your relationship if you are already married. If you and your partner love each other truly but have been struggling with conflict or infidelity, a marriage healing spell may help you too wipe the slate clean and begin again. Check out this spell to heal a marriage from Wiccan Spells. Preparation: Write two letters to your Goddess of choice. The first will detail the problems in your marriage and how you feel about them. Be open and honest, nobody will ever read the letter and the better you explain the situation, the clearer your intention will be. The second letter will express what you would like to see happen in the relationship. This second letter should be as long or longer than the first and should be very specific. Imagine your marriage at its most perfect, perhaps how things were when you first fell in love and let it inspire you! Sacred flames, carry these energies away, Let our relationship begin anew today. Take the second letter and rre-readit carefully. Visualize these details manifesting. Take the two pieces of string and tie them together at the ends so that you have one long string. Fold the paper several times and tie the string around it. God and Goddess above, Help me reunite with my love. Bring us loving harmony and peace, May the strength of our bond increase. So mote it be. Thank the Goddess and close the circle. Bury the paper and string near a tree, preferably apple or birch. Here is another white magic spell for bringing harmony into your marriage. When you are already committed to someone, it can be very helpful to focus on what is wonderful about the marriage. When conflict develops in a relationship, it is easy to begin to focus on the negative aspects of the partnership. This spell will help you to remember what is worth saving and will enable those aspects to grow and multiply. This spell is also from the website Wiccan Spells. Feel the love you have for this person and draw it into your heart. Focus on the flame in each candle one after the other, then blow the candles out. Here is a charm that you can make to bring happiness into your marriage! This one is really easy to make and you will feel the good vibes flowing in no time! Spellcasting: Take the stalks and tie them together in a bouquet with the green ribbon. Hang it over the bed to bring joy and romance into your marriage. For even more powerful spells, take a look at black magic love spells. They are even more powerful, and if you are willing to take responsibility for any consequences that might occur, there is no rule against practicing the dark arts. There are plenty of witchcraft practices that cross over into the dark arts without any judgment. If you are not a member of a Wiccan coven, there is no prohibition. In fact, many witches argue that the use the darker magical arts is necessary to properly balance the scales of justice because karma does not always work as it should. Voodoo love spells are some of the most powerful love and marriage magic spells out there. Try the voodoo love spell and add some ingredients for marriage. You can add a wedding ring, etc. Or try out this Voodoo Marriage spell from the Hoodoo Witch. Take the photo and cover the picture with the honey. Place the picture at your right just in front of the candle and apple. Close your eyes and visualize your lover’s proposal to you. Meditate on how you want the marriage to be. At this point, you can end your ritual with a strong faith then expect the manifestations of the marriage spell as soon as possible. As you can see, there are so many marriage spells to choose from. 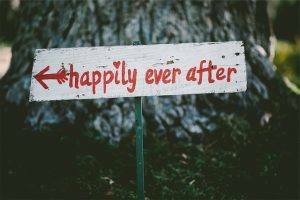 You can take any love spell and refine the wording to make it more specifically about marriage and commitment. They all operate on the same level – using the force of attraction to draw love and commitment into your life! And for the most powerful spells, look into black magic love spells. They are not easy to cast, but they are the most powerful. You may want to seek the help of a professional spell caster if you really need powerful magic. These spells are work extremely well, but without experience, unexpected negative consequences can result. The spellcasters are Oranum can help you achieve your goals. Watch them at work in real time on their live stream. You will be able to tell right away if they are a good match for you. And if you want to try our a spell without making a huge financial commitment, look no further than Kasamba. They offer the first 3 minutes for free and a 50% discount on the rest of your first session if you choose to continue. That is a great deal! Another great website for finding professional spellcasters is Keen. They also offer the first three minutes for free and have professionals with rates as low as $1.99 per minute. And you can rest assured that all of these websites have a money back guarantee. Its a better bet than finding someone off of the street, that is for sure! Bless your wedding with positive vibes! Have you had help casting a marriage spell from one of our spellcasters? If so, please comment on your experiences below!